Henryk Ptasiewicz is an admirer of Vincent Price. Vincent Price, a native St. Louisan widely known as an actor mostly from his work in horror films, but he was also an art collector and historian. 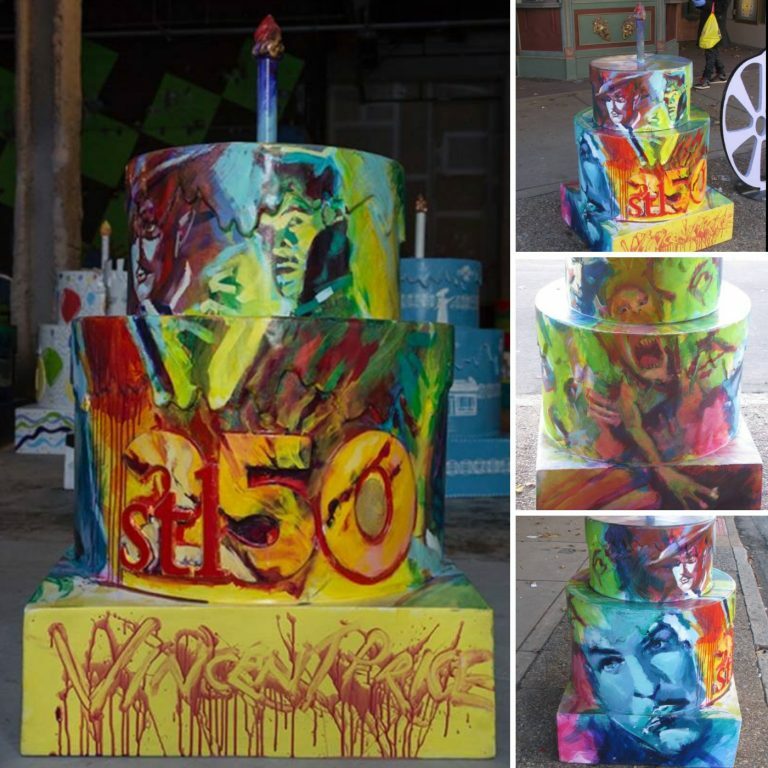 Henryk contributed a grand total of 7 cakes to the St. Louis 250 Cake project. One of those cakes was for the Tivoli Theater. 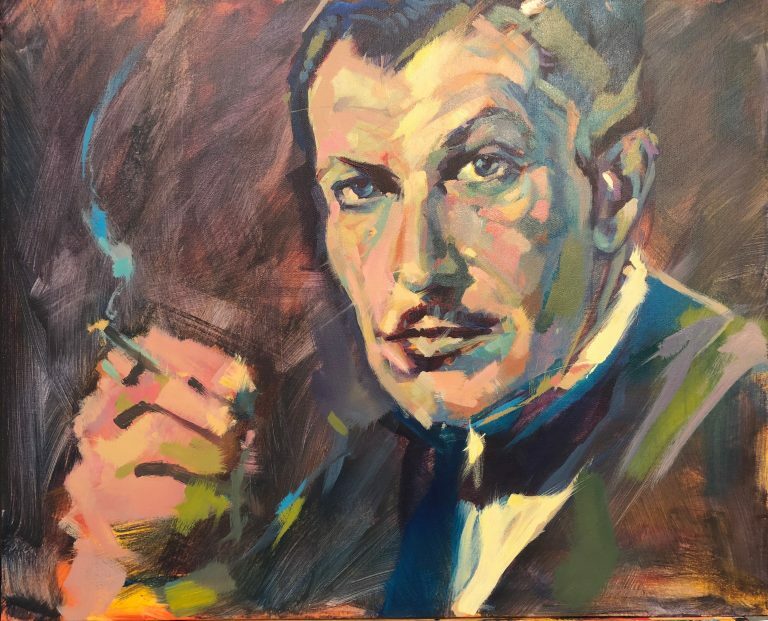 When Henryk was asked to paint live with Lisa Ober he suggested a portrait of Vincent Price. The project was a collaborative painting challenge which meant that Henryk and Lisa would paint together, alternatively on the same canvas. The resulting portrait of Vincent Price was the product of both artist’s very different styles and approaches. Learn more about the collaboration here. Portrait of Vincent Price by Henryk Ptasiewicz and Lisa Ober.